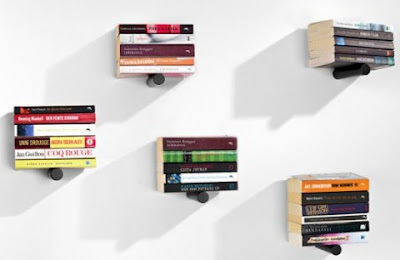 The design makes it look as if the books are perfectly balanced on the rod!!! I love the tv stand, It's very nice and modern and the job with books It's awesome. The tv stand will be better with bigger Tv for watch games.